I like solving problems. Like too many lentils problems. Or extra fresh rosemary from a previous recipe problems. Or what do you make for dinner that sounds delicious and enticing problems. These are the kinds of problems one is willing to face when one cooks for a living. I do love to cook, believe me, but it’s also nice to take a break from it sometimes. Then when I do come back to it, I can have the energy for creativity. I admittedly don’t get a lot of breaks from cooking between my main job, my side job, and my home job (plus I just started a cooking club at school once a week so there you go), so when I get a good solid 16-24 hour period off that’s good enough for me. 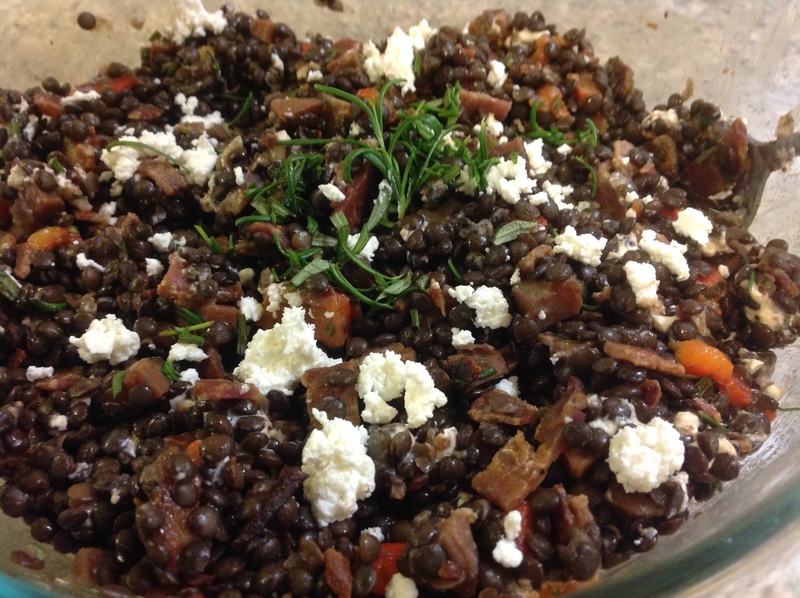 That and the smell of a neighbor’s bacon cooking as I walked to the train yesterday was enough to inspire last night’s warm lentil salad. I get a certain satisfaction from using things up (have I mentioned this before?) and so when making my grocery list I often try and plan around what ingredients we have in our fridge or cabinets that have been taking up space for too long. When something is nearing the end of its life, it’s time to use it up! When a non-perishable has been getting pushed to the back of the cabinet, it’s time to use it up! So with (some of) the remaining fresh rosemary from my sweet potato salad (which I will also be making again) and the lentils and the last of the red wine vinegar (satisfactory sigh) I made this lentil salad. So let’s get started. This is not a hands-off recipe, but you can make a big batch of it and then eat the leftovers for a few days. 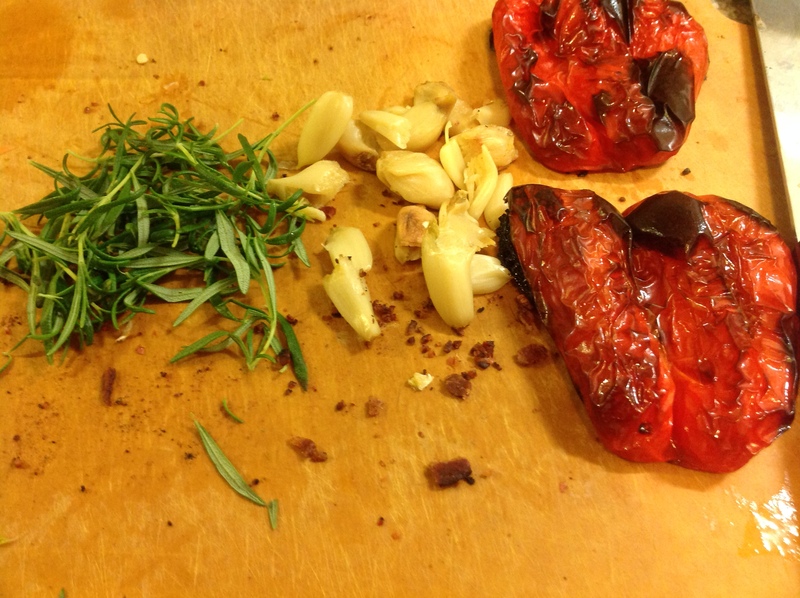 Start by cooking your lentils while you roast some peppers and garlic (garlic not pictured). Add some goat cheese for a little tang and voila! This could almost be a Christmas salad with those colors! 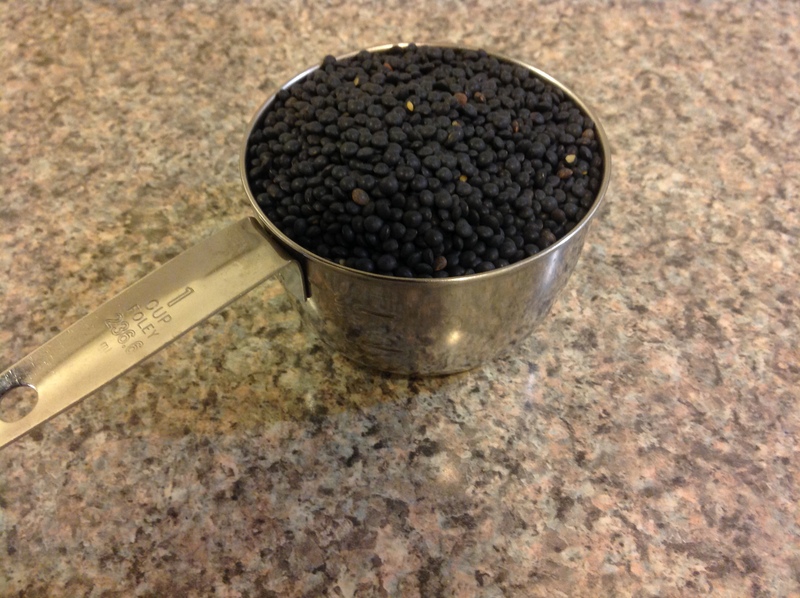 Combine the lentils, carrot, bay leaf, salt, and 5 cups of water in a medium saucepan. Cover and bring to a boil over high heat. Turn down to a simmer and cook for 25 minutes or until lentils are tender while still holding their shape. Meanwhile prepare your garlic and red pepper. Preheat the oven to 425 degrees. 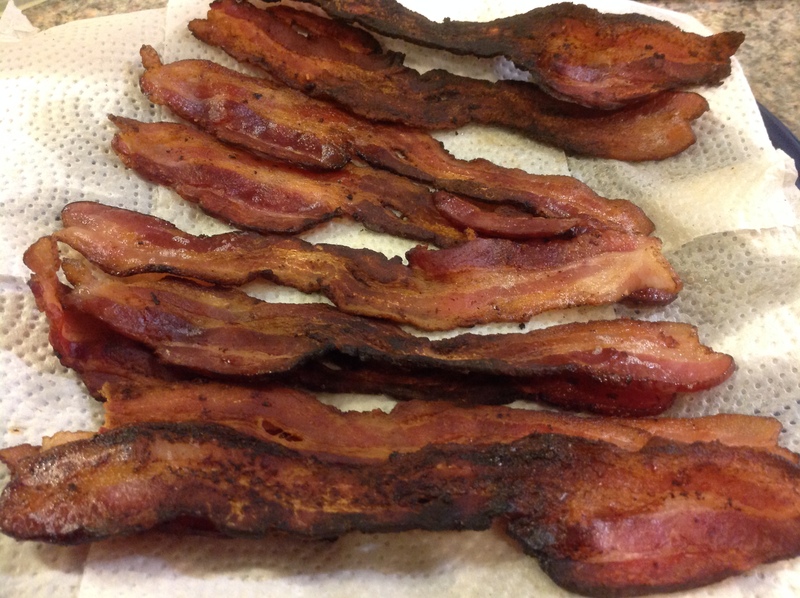 Line a rimmed sheet pan with parchment. Wash your pepper, cut in half, and remove the seeds. Place flat side down on your sheet pan and rub lightly with olive oil. Take a head of garlic and place in a small square of foil big enough to wrap around it. Drizzle with a bit of olive oil, wrap in the foil and place on the sheet with the pepper. 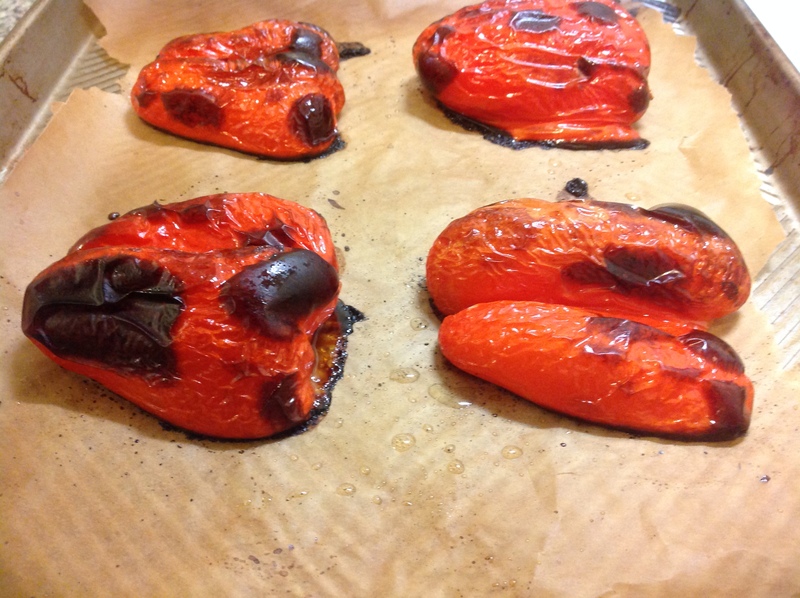 Roast the red pepper and garlic at 425 for 30-45 minutes until the pepper begins to blacken and the garlic feels soft when lightly squeezed or when the garlic is pierced easily with a knife. 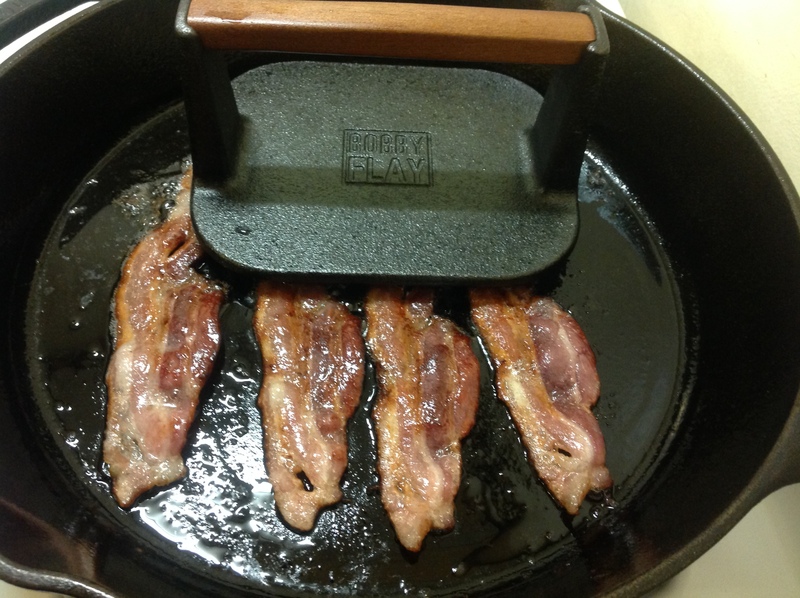 While those are roasted cook, cool, and crumble your bacon. When the lentils have finished cooking, remove the bay leaf and carefully drain the excess water in a fine colander, shaking off as much water as you can. 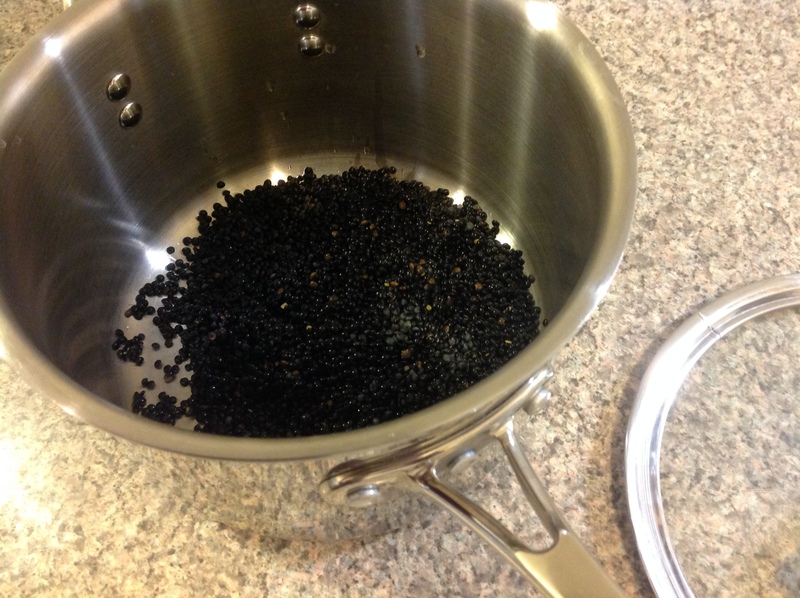 Remove the lentils to a large bowl as you prepare the other ingredients. 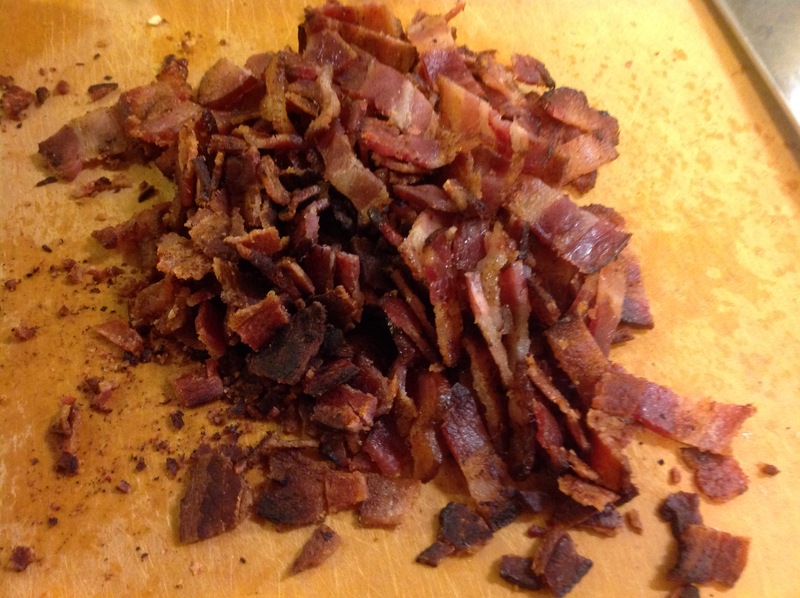 Add the red wine vinegar, 3-4 tablespoons of olive oil (to your taste), fresh rosemary, and crumbled bacon. When the red pepper and garlic have finished cooking, let cool until you can handle them comfortably – 10 minutes or so. 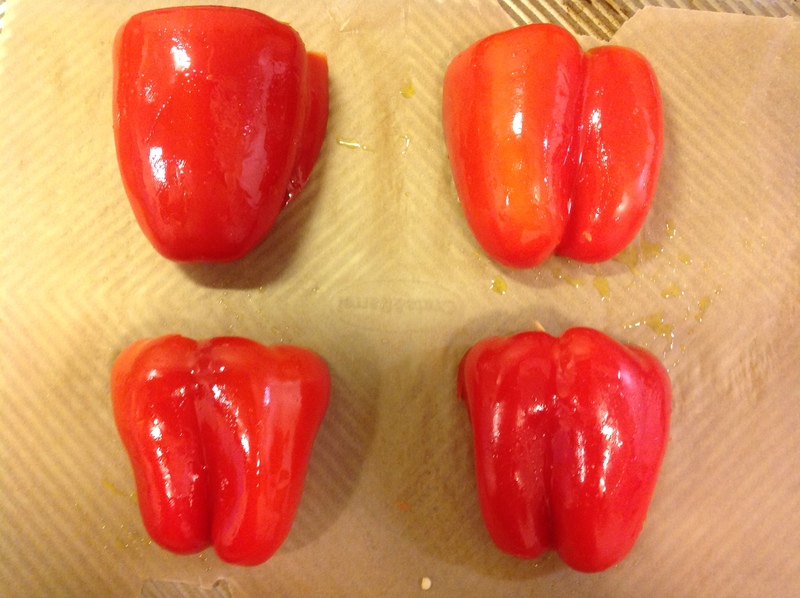 Carefully peel the skin from the red pepper (as much as possible) and dice the pepper. Cut off the bottom of the garlic head and remove a few cloves. Holding a clove at the more pointy end, carefully squeeze the roasted garlic from its skin. Mash and add that and the diced red pepper to the lentil mixture. 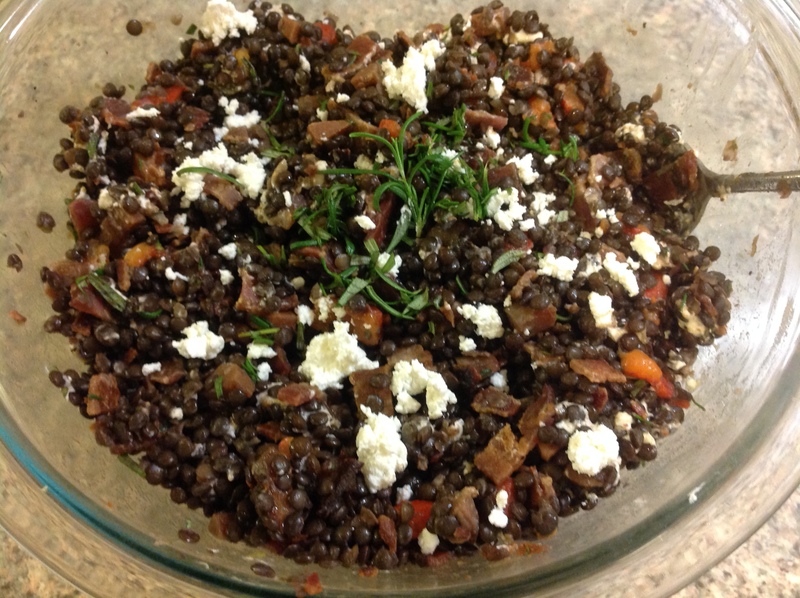 Drop the goat cheese onto the lentil salad in small dollops. Carefully fold in the goat cheese into the salad, taste to adjust the seasonings and serve. Add more salt, pepper, vinegar, or oil as desired. Serve and enjoy!